First time trying out this recipe and was very happy with the oozing result. 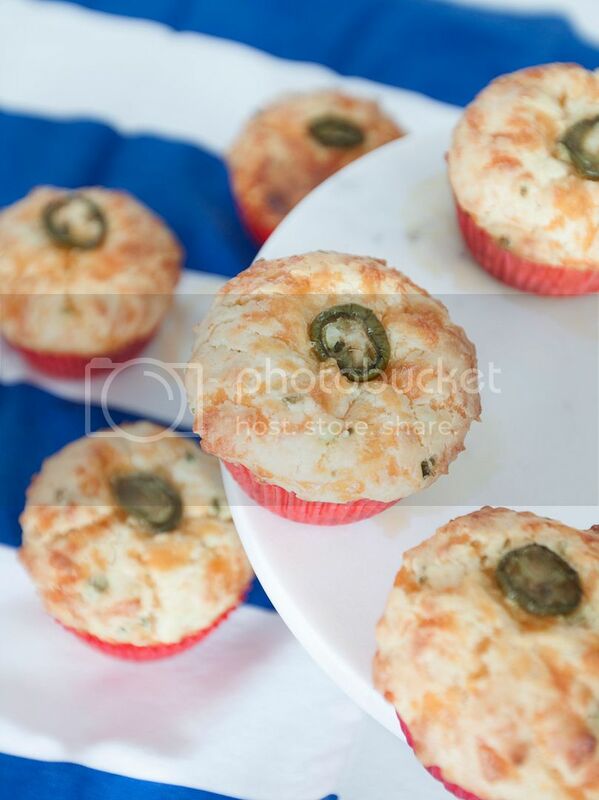 These savory muffins make a great weekend brunch item or afternoon snack. The use of heavy cream seemed to add even more moisture to the flour mixture. The leftover muffins were stored in the fridge and later heated up in the oven using medium low heat before serving. The texture wasn't dry at all even after days storing in such dry and cold environment. Confession time, I actually ate two in a row because the oozing cheese inside and the crunchy edge were too addicting. Do not attempt this recipe if you're on a diet. Ingredients (for 6 large ones or 8 medium ones)? Preheat the oven to 375 degrees Fahrenheit and line the muffin tray with paper muffin liners. Melt the butter and let it cool down a little bit before mixing with other ingredients. 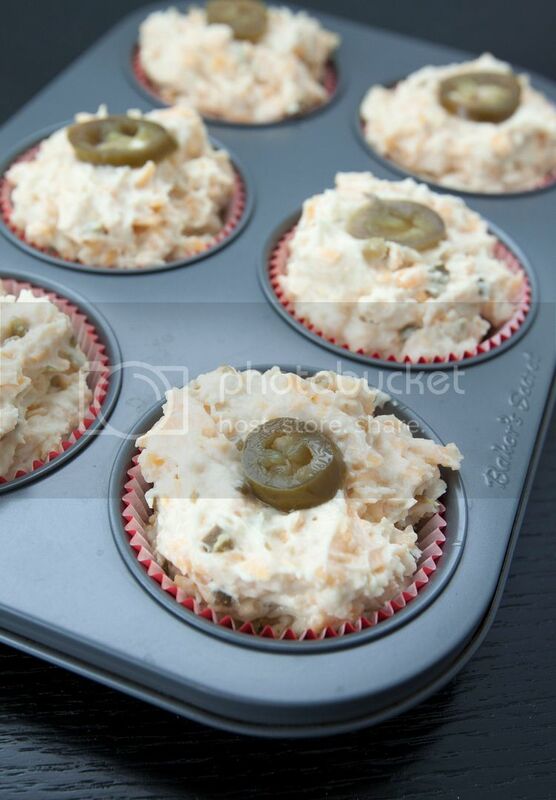 Chop the pickled jalapeño into tiny pieces and save a few slices to decorate the muffins. This recipe uses Cheddar cheese so the muffins are on the slightly salty side. Reduce the amount of salt by half if preferred. 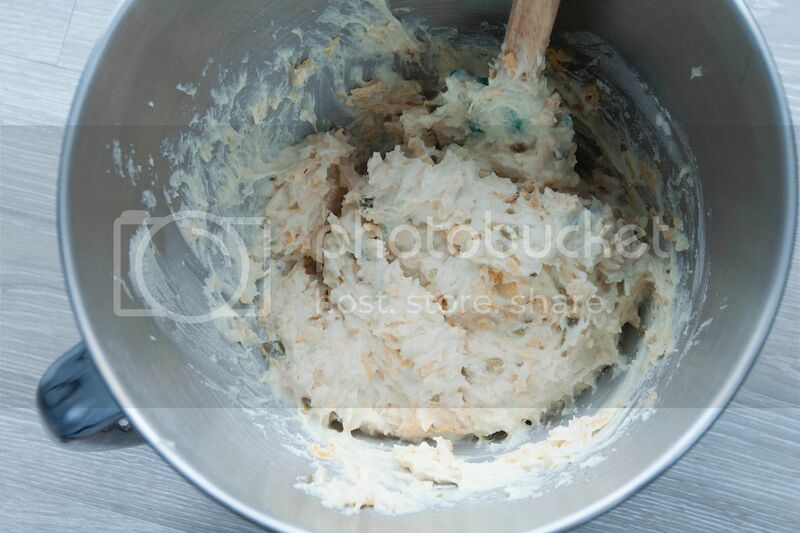 In a big bowl, mix together the flour, baking powder, sugar, and salt. Take another big bowl, mix together heavy whipping cream, egg, and melted butter. Blend till fully incorporated. Add the dry ingredients to wet ingredients in two batches and blend well. 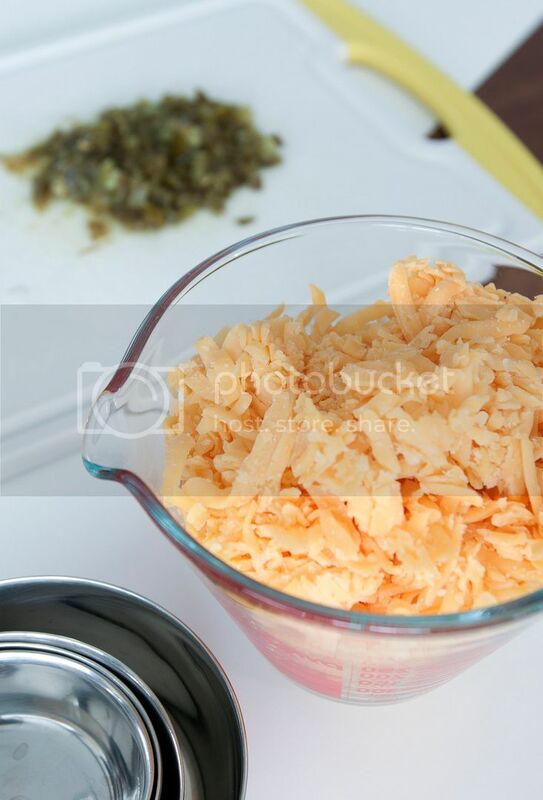 Lastly, fold in diced jalapeño and shredded Cheddar cheese. Scoop the batter into prepared muffin cups. 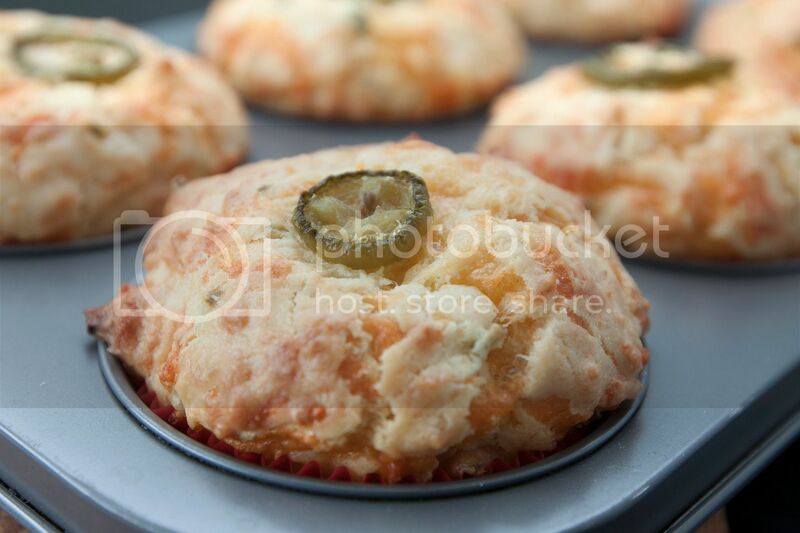 Top each muffin with one jalapeño slice and press it down gently. Into the oven and bake for 22 to 25 minutes. It can be hard to remove the liner from hot muffins. Just wait till it cools down a little and the liner should peel off easily. 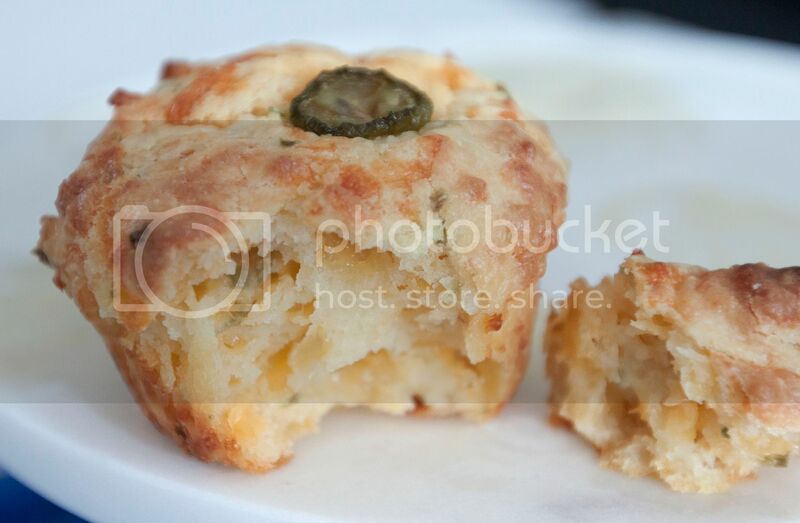 Simply store the leftover muffins in the fridge and reheat in the oven before serving. 150 to 200 degrees Fahrenheit for 10 minutes, make sure the center is warm in order to get the best oozing effect from the Cheddar cheese. I should start baking more savory muffins, these are just too addicting.